Interested in getting out of the boardroom for some team building activities during your time in Oakland, California? Here, you’ll explore teamwork, communication, leadership, trust and more with a unique outing for your group. From getting crafty to exploring the outdoors and volunteering within the community, get ready to think outside the box with a unique team building event. 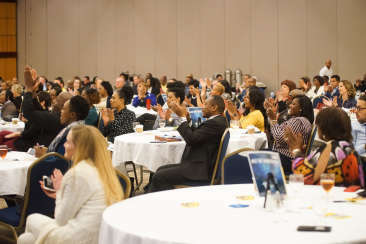 Here are some ideas of how to create strong bonds and encourage individuals to work together as a team, right here in Oakland. Experience a customized tour through the Redwood Regional Park in Oakland, onboard your own Segway with Segway Off-Road tours. Explore the majestic redwood trees and forests for the ultimate “out-of-office” experience. This two-hour tour through the wooded off-roads also includes a hands-on 15-minute Segway riding lesson. 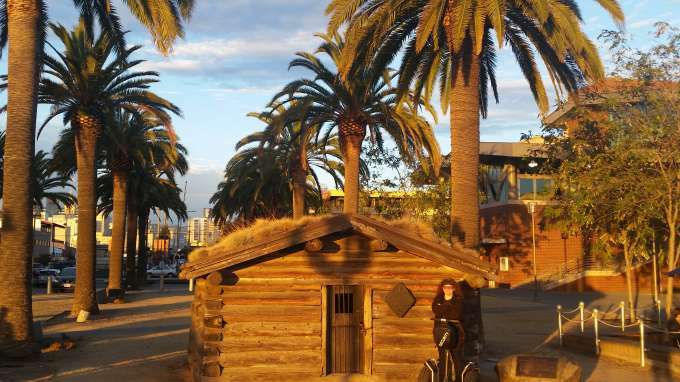 Segway of Oakland offers tours around the beautiful Lake Merritt or Jack London Square. Choose the right adventure for your group and challenge them to test their balance, skills and reflexes as they enjoy the freedom to explore. Challenge your group to a bit of healthy competition, literally, when you all experience an interactive cooking event with Kitchen on Fire. The popular “Teams on Fire” competition divides your group into teams with the same recipes. Team members must work together to create the best meal. For a more relaxed activity, treat your group to a new cuisine or have them learn the foundations of cooking with a hands-on cooking class. 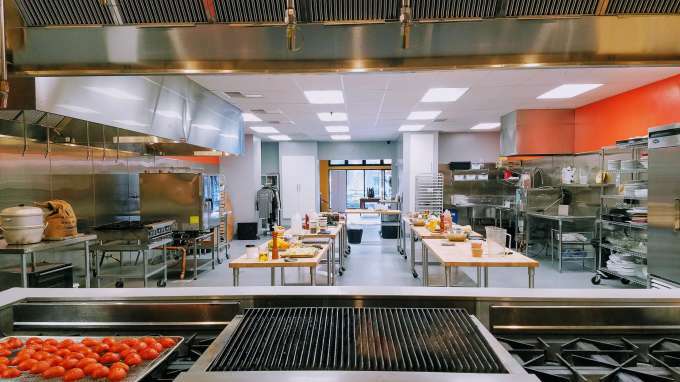 Each of these three-hour experiences has a complimentary fruit and cheese platter before the activity begins, a chef talk, and plenty of time to cook and the enjoy meals prepared by your group. 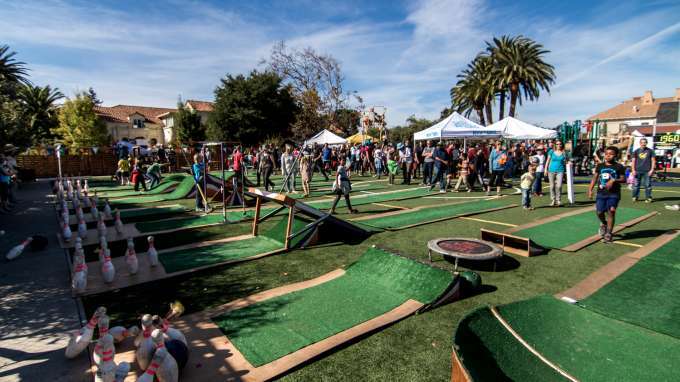 What do you get when you combine miniature golf and bowling? RallyBowl! Treat your group to a day of teambuilding and competition with Oakland area’s hottest interactive game. With regular bowling balls and pins, players must roll their ball through obstacles in the lane to score points. This interactive game is a great way for players to collaborate with one another and have fun, too. RallyBowl’s support staff will bring the game to your location, set it up for your group and even allow you to customize the lanes and obstacles you’d like your players to attempt during the event. With setup available indoors or outdoors, RallyBowl’s lanes are approximately 6 feet wide and 30 feet long. 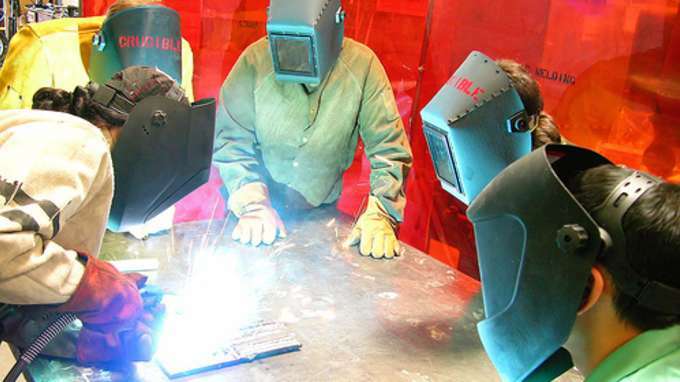 Gather your team for an engaging arts educational experience that’s complete with them creating their own piece in an industrial arts setting at The Crucible. Boost morale, lower stress and stimulate creative thinking when your group learns techniques in welding, glass fusing, flameworking, jewelry making and more. These hands-on workshops can host up to 150 people and can be customized to your group’s needs. 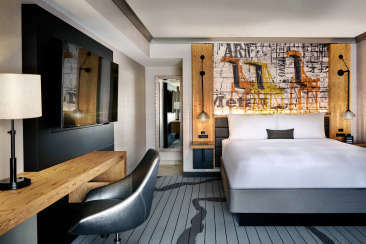 For a unique experience, custom projects allow your group to work in multiple areas to create a one-of-a-kind piece of art together as a team. How’s that for a handmade souvenir to take back to the office? 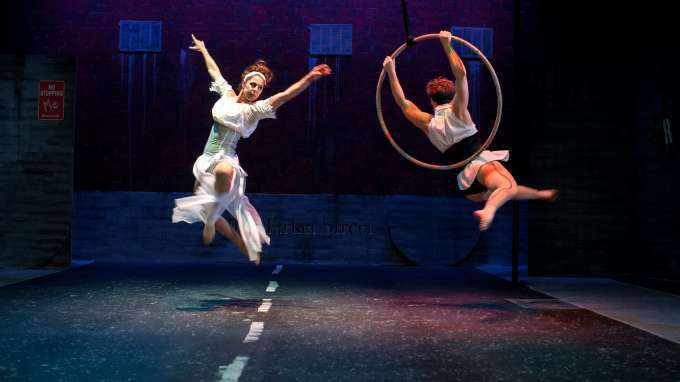 Get creative and take flight with BANDALOOP Studios aerial dance workshops. With corporate workshops and lectures, the studio focuses on its public art process and community enrichment practices along with lectures on risk management. The lectures are meant to inspire the human spirit and are readily available for a meeting or group setting. 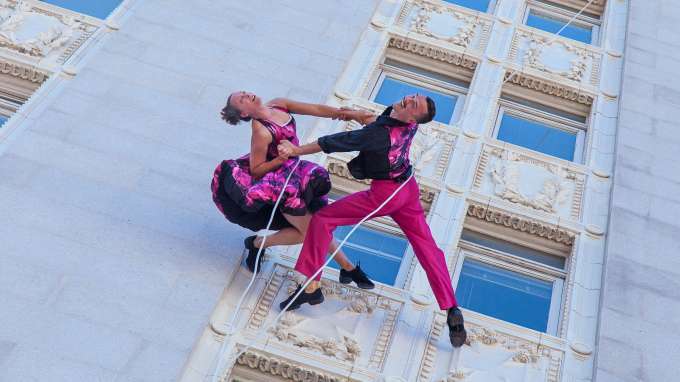 For an interactive activity, your team can experience vertical dance and aerial performance as they work together disrupting traditional modes of thinking with one another. Create a day of excitement, fitness and circus arts for your group at Kinetic Arts Center in Oakland’s East Bay area. Choose from circus and physical theater training activities, including trapeze work, juggling, acrobatics and more. With an internationally trained staff, the center offers a one-of-a-kind way for a teambuilding activity, where everyone gets to “clown around” for a bit. How’s that for an engaging ice-breaker activity? Your team members will leave feeling inspired and appreciate the trust and friendly bonds that created with one another. Take in the views along the waterways of San Francisco Bay onboard a chartered yacht from Passage Nautical. From sunset happy hour sailings to half- or full-day tours of the Bay, the boats have a maximum capacity of 12 people, which allows for an intimate setting among your team members to experience breathtaking views of the Oakland area. Choose from powerboats, sailboats and yachts— each customized to fit the needs of your group. 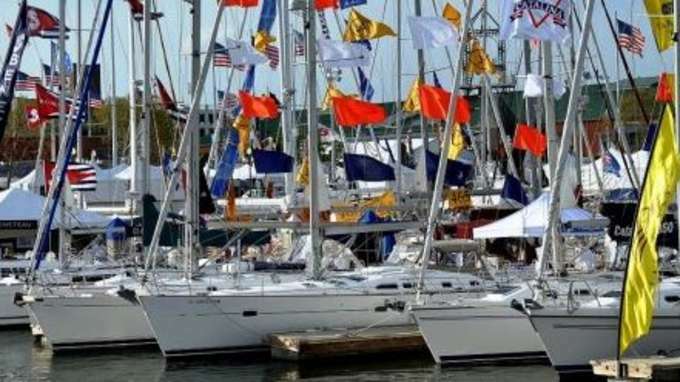 And if you need to fit some work in during the sail, the yachts offer a distraction-free location along the waterways of the area. Gather your team members to explore the street art and leave their own artistic mark in the city when you partner up with Oakland’s Dragon School. 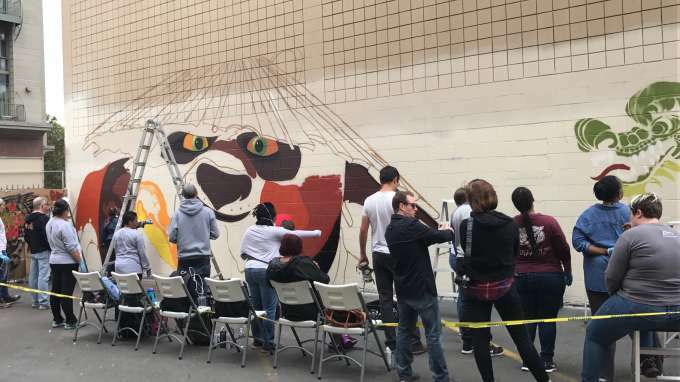 This nonprofit organization will allow your group to work as guest artists in Oakland’s Chinatown neighborhood to create their own dragon murals where unity is strengthened by diversity. Enhance the community and work together as a team to create something that will serve as a great symbol of your time in Oakland. The organization is available to lead the group and provide assistance in creating the mural that will become a piece of Chinatown’s makeup—created by your team. For a heartwarming and rewarding experience during your time in Oakland, spend time volunteering at the Alameda County Community Food Bank. With a goal of providing nutritious meals to low-income residents, the food bank welcomes groups to assist with daily needs of the center. 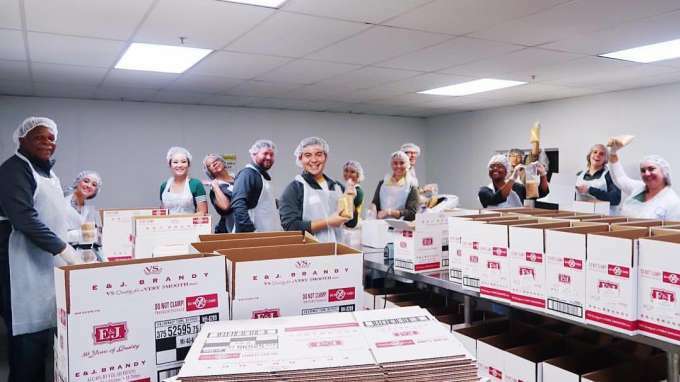 From interacting with new clients and assisting with registration to sorting produce and packaging of goods, there is a sense of pride in giving back to citizens while visiting the area—together as a team with your coworkers. You and your group enter a room and have 60 minutes to get out. You immediately begin to scope it out: a locked chest, odd assortment of books, and variety of portraits hung on the wall, among other everyday objects. The question is: Which pieces hold the clues to escape? Work together on this puzzle to see if your team has what it takes to escape! 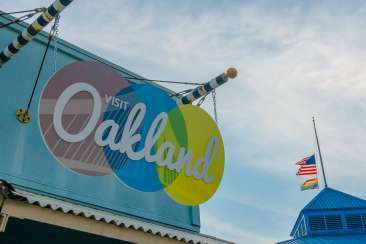 Let us help you experience Oakland in an active and unique setting away from the traditional boardroom. Contact the Visit Oakland Sales and Convention Services Team to learn how you can create the perfect teambuilding experience for your group.